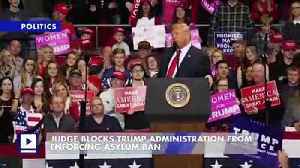 ▶ Videos for "Trump Asylum Ban"
President Trump's executive order has now been opposed at multiple levels of the judicial system. According to reports, Ruth Bader Ginsburg voted against the asylum ban from her hospital bed. 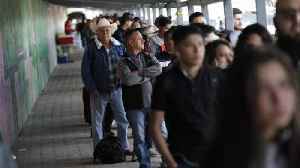 That rule, issued Nov. 9, temporarily required asylum seekers who cross the southern border to apply at U.S. ports of entry. 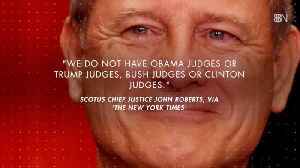 President Trump got an ear full from the Supreme Court Chief Justice. Here's the story. President Trump isn't too happy about this ruling. 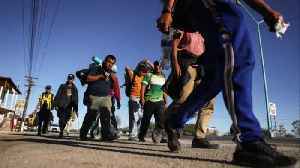 Judge Blocks Trump Administration From Enforcing Asylum Ban The first of several caravans of migrants have started arriving at the U.S.-Mexico border. 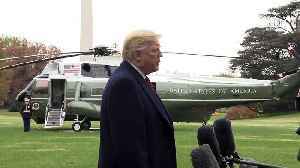 President Donald Trump said on Nov. 9 that anyone..
A federal judge on Monday issued a temporary restraining order blocking the Trump administration. 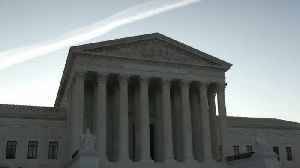 The order, effective immediately, blocks the denial of asylum claims to immigrants crossing the border.. The administration's rule would've temporarily required asylum seekers who cross the southern border to apply at U.S. ports of entry. The ACLU says it has filed a lawsuit to challenge President Trump's new asylum ban. 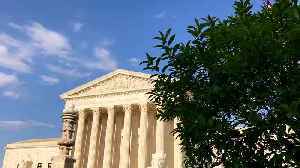 A federal judge blocked a new initiative by President Trump to limit the ability of foreign nationals crossing the southern U.S. border illegally to seek asylum. 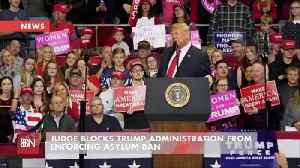 President Donald Trump's authority is "limited by statute" that protects asylum seekers, and if he doesn't like the rule, he should try to get Congress to change it, Harvard Law Professor Emeritus Alan..
HOUSTON (AP) — Legal groups suing the Trump administration over its ban on asylum for anyone who illegally crosses the U.S.-Mexico border have argued their case before a federal judge in San..